European investors are cheering Monday as they expect a last-minute resolution to the ongoing Greek debt debacle. 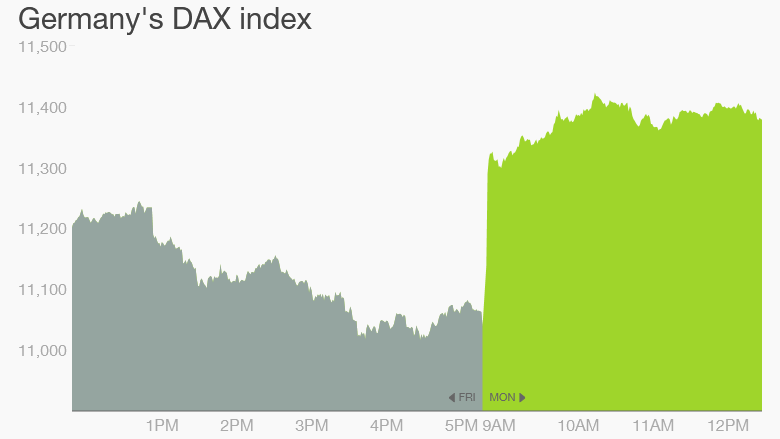 Every major market in Europe is rallying. The ATHEX index in Greece is up 8% while the main indexes in Germany and France are surging by about 3%. Shares in Greek banks are rising by as much as 23%. They have suffered massive deposit outflows in recent days, and are relying on emergency funding from the European Central Bank to stay open. The ECB pumped in more money Monday to keep the banks afloat while officials meet in Brussels to try to get a deal. Monday is a make-or-break day for Greece. Without more money from its creditors, it will be unable to make a payment to the International Monetary Fund due next week, putting it in default and sliding towards exit from the eurozone. An official at the European Commission tweeted overnight that Greece had submitted a new proposal to its creditors that would provide a "good basis for progress" during a Monday meeting of top eurozone leaders. It included plans to gradually increase the retirement age, and introduce a higher rate of sales tax. "We have made progress over the last two days but we are not there yet," said European Commission President Jean-Claude Juncker. Related: Who has the most to lose if there's no deal? Greece 101: Over the past few years, the Greek government has been receiving cash from a bailout fund worth 240 billion euros. 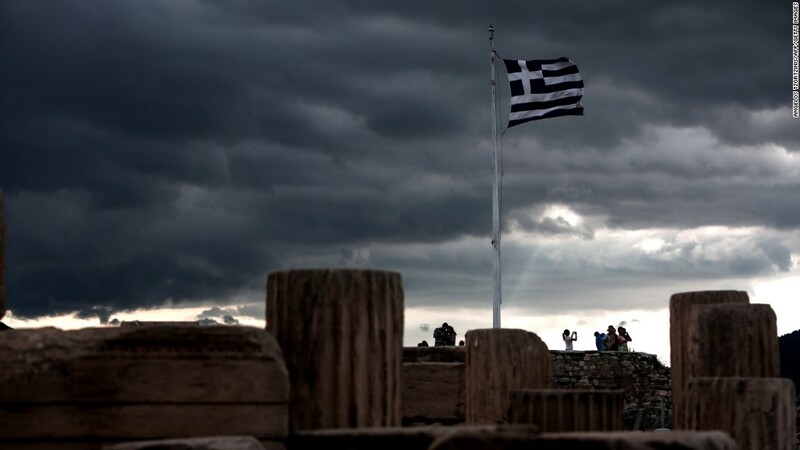 The loans were provided by other European governments, the International Monetary Fund and the European Central Bank, but were based on the understanding that Greece would reform its economy and turn budget deficits into surpluses. But the last installment of the bailout, worth 7.2 billion euros ($8.2 billion) has been withheld because Greece backpedaled on commitments it made. Prime Minister Alexis Tsipras was elected in January on a promise to ease the pain of austerity, and thus far has been unwilling to accept the creditors' terms. The latest: At the weekend, Tsipras spoke to German Chancellor Angela Merkel and other European leaders by phone ahead of Monday's crunch summit. "The prime minister presented the Greek proposal to the three leaders for a mutually beneficial agreement that will provide a definitive solution and not a postponement of addressing the problem," Tsipras' office said in a statement. Tsipras knows that without a new deal on Greek economic reforms, he risks leading Greece into default. After months of back and forth, investors now believe a deal could be forged in a matter of hours. U.S. stock futures are rising by about 1% ahead of the opening bell. If a deal isn't reached and Greece defaults, it's entirely possible that the country will stumble out of the eurozone, which could wreak havoc in the markets.